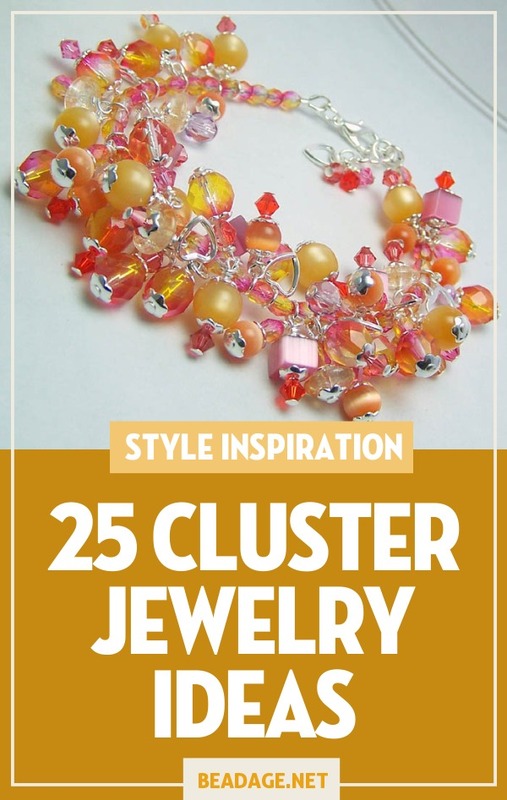 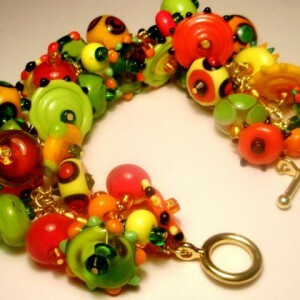 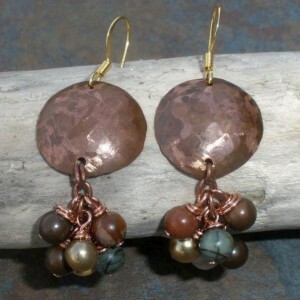 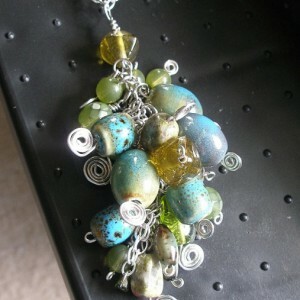 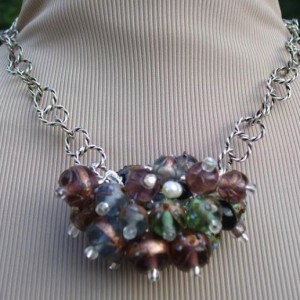 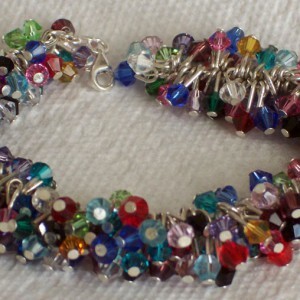 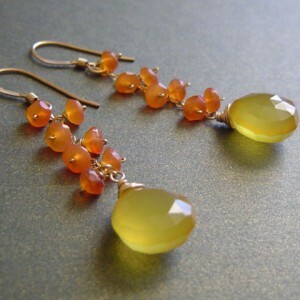 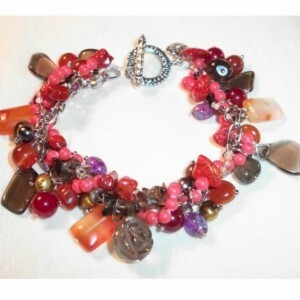 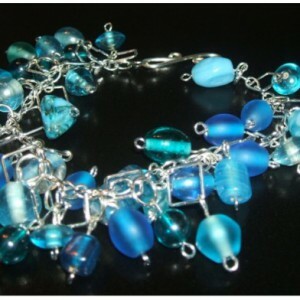 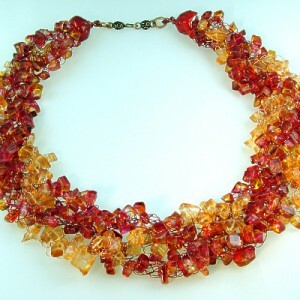 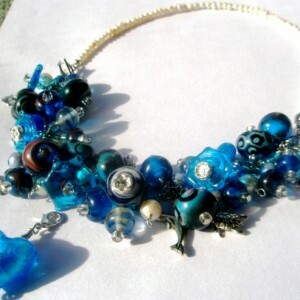 If you like bold, chunky, funky jewelry, you’ll love cluster necklaces, bracelets, and earrings. 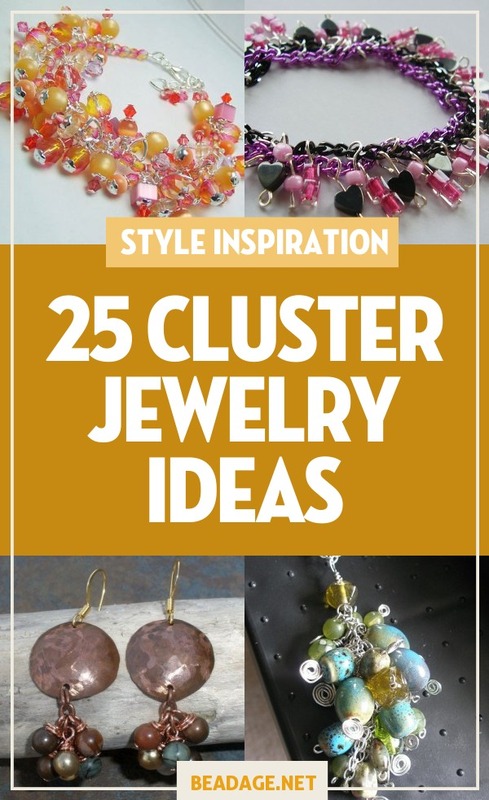 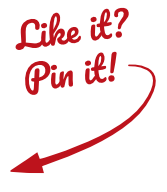 Here are some project ideas to try! 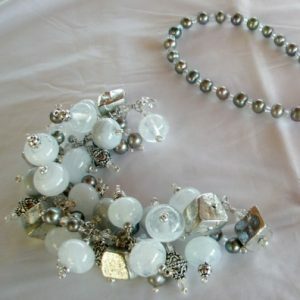 I have used sterling silver chain and wire to make this necklace, along with fine quality lemon quartz and amythest nuggets. 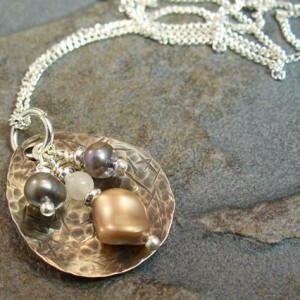 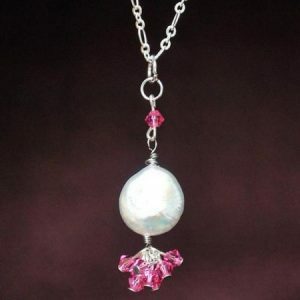 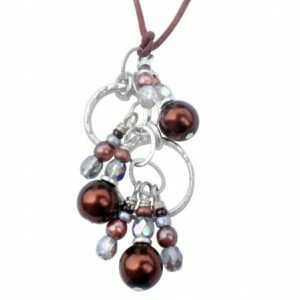 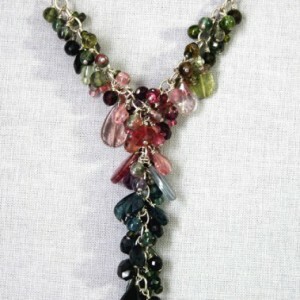 This necklace also feature faceted carneliun, iolite and freshwater pearls. 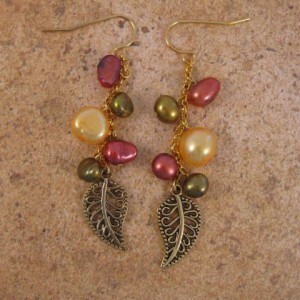 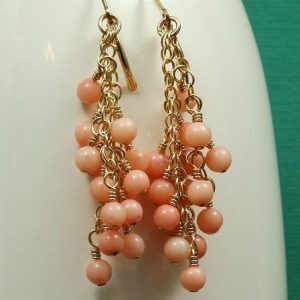 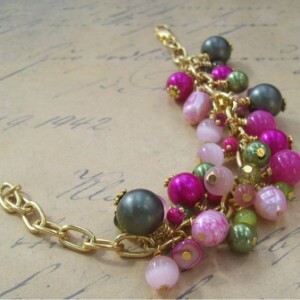 Different shades of pink and green beads were all individually twisted onto a chunky gold tone chain. 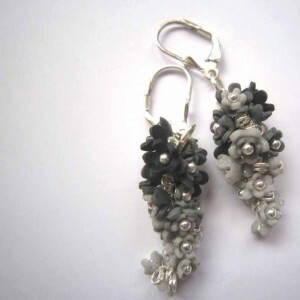 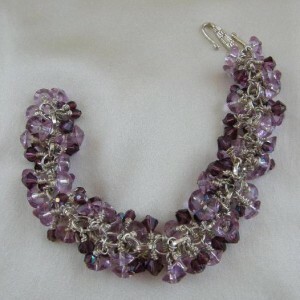 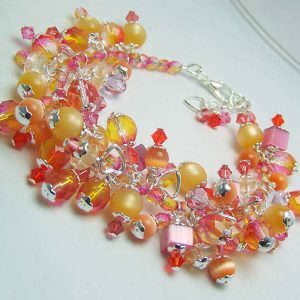 Beads range in size from tiny 4mm Swarovski crystals to 12mm coloured faux pearls. 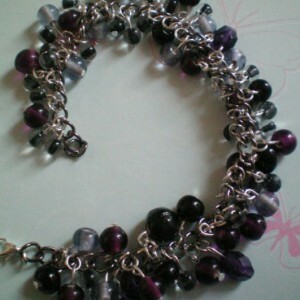 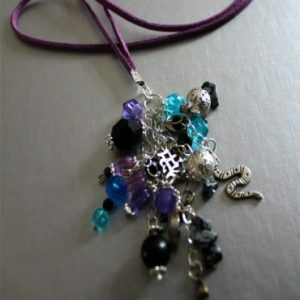 Chain has large 10mm links joins with a lobster clasp and measures 19cms.